Drapers Field is available to hire throughout the year. 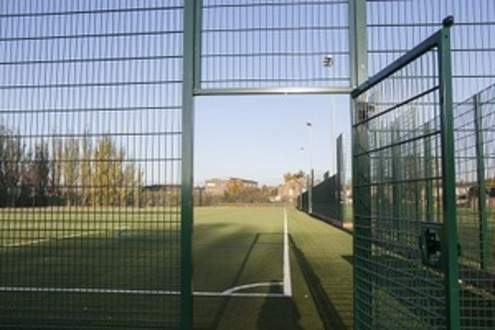 The pitch can be used for 11 Aside matches or split in to 3x 7 Aside pitches for training. There are changing rooms and a cafe on site for teams to use. The pitch has floodlights and is available until 10.00pm Monday - Friday and until 5.00pm on weekends. 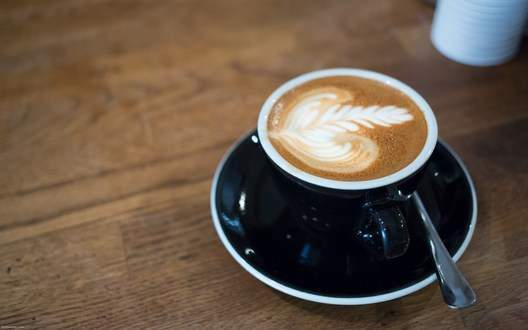 Whether you are feeling hot and cold in the fine Waltham Forest Weather pop into the cafe and get your drinks and snacks to keep you going. The pitch can be used for 3 x 7 Aside pitches for training. The pitch has floodlights so is available until 10.00pm Monday - Friday and until 5.00pm on weekends. 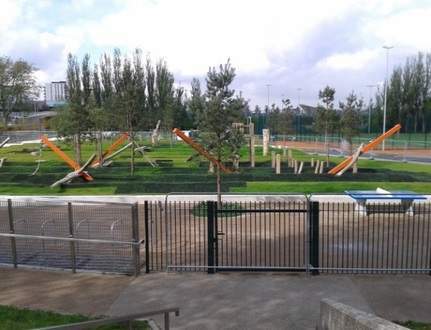 The play area at Drapers Field, serves the Olympic Village projects. 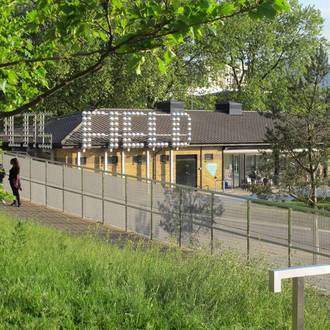 Formerly a service facility for the 2012 Olympics, Drapers Field was redesigned as a vibrant community space, improving sport and play provision and encouraging more children into activity both play and sport. The play area is open for the same time as the main park and has access to wheelchair accessible toilets in the main building. We have an on-site car park that has 23 spaces and 2 additional disabled spaces for those with additional needs. The car park is free and opens and closes at the same time as the park. Drapers Field has a total of six changing rooms that contain showers and toilets that can be used. These changing rooms can be locked if clubs require to leave their belongings whilst playing football.